By the beginning of the 1960’s Bruno Mathsson turned his attention to the possibilities of steel as a material in designing furniture. He was attracted to the possibility of creating new forms of resilient furniture combining lightness with good comfort. In 1965 he designed his now famous Jetson chair that was launched the following year. Bruno Mathsson signed and dated the drawing on 22 December 1965. He was keen to see the chair in production but his enthusism for the chair could not overcome the technical difficulties using contempory production techniques. 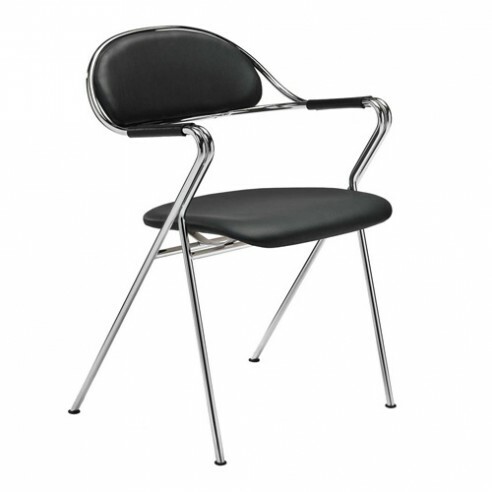 Consequently, for over forty years the chair numbered BM65 was never developed beyond the drawing board.